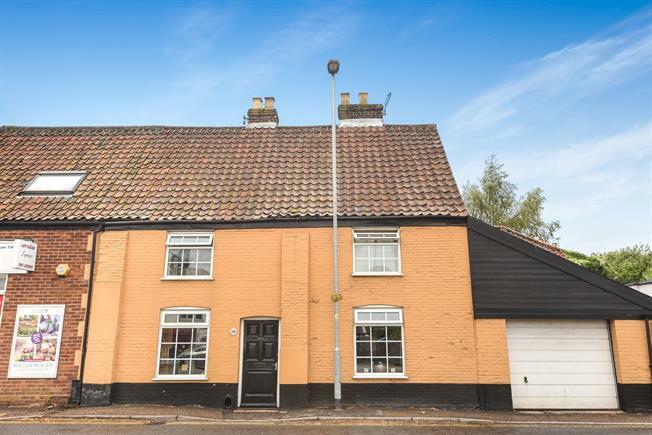 3 Bedroom Semi Detached House For Sale in Norwich for Guide Price £210,000. This period cottage dating from around 1780 is surrounded by properties of a similar age. The property is a five minute walk from Anna Sewell's house where she wrote the iconic novel Black Beauty. And is modernised yet full of character, featuring exposed brickwork and beams and a wonderful open fire in the heart of the home. There is a modern bathroom in the cottage, easy access from the kitchen to the lounge and to the dining room with stripped wood floor. Outside the property there is a low maintenance courtyard garden and attached garage with remote controlled door.